weekend Archives - GetGoing NC! It’s looking like another one-day weekend. The forecast: Saturday: cold and dry; Sunday: cold and wet. 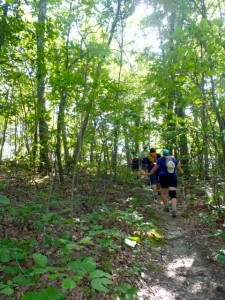 Cox Mountain Hike, Saturday, 1:30 p.m., Eno River State Park, Durham. Watch the accompanying video — see the hillier sections? Those are from the Cox Mountain Trail, the very same Cox Mountain trail that’s the focus of this 4- to 5-mile hike. Learn more and sign up here. Hike to Tory’s Den, Saturday, 1 p.m., Hanging Rock State Park, Danbury. New to this hiking thing and not sure you can hike very far, but still want some great scenery and you want it pretty much to yourself? (Boy, you’re demandy!) You can have it all on this half-mile round-trip hike on one of the lesser-visited, but still scenically awesome, trails at Hanging Rock. Learn more and sign up here. Wildings: Winter Wing Watching, Saturday 10 a.m., Weymouth Woods State Natural Area, Southern Pines. Remember when “wilding” was a bad thing done by juvenile hoodlums? Well, it’s practiced differently down in Southern Pines, where this wilding also features youths (ages 6 to 10), but involves them quietly watching birds. Learn more and sigh up here. 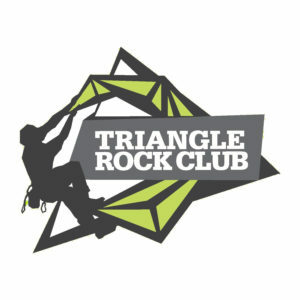 =&6=&, Saturday, 1-2:30 p.m., Great Outdoor Provision Co., Raleigh. Join our GetBackpacking! braintrust for an all-encompassing discussion of all things backpacking, from how to get started to how to drop a pound or two. Learn more and sign up here. This week’s video is a salute to exploring in the rain, which is our way of saying there’s a lot of it in the forecast the next few days. But not on Saturday! So, we have three options today: 1) if you want to stay dry, 2) if you don’t mind the rain, 3) if you’d rather wait until New Year’s Day (when there’s still a chance of rain). The pressure is on! Only one more weekend to get out before Christmas! =&0=& (Boulders Access), Saturday, 9 a.m, Crowders Mountain State Park, Kings Mountains. 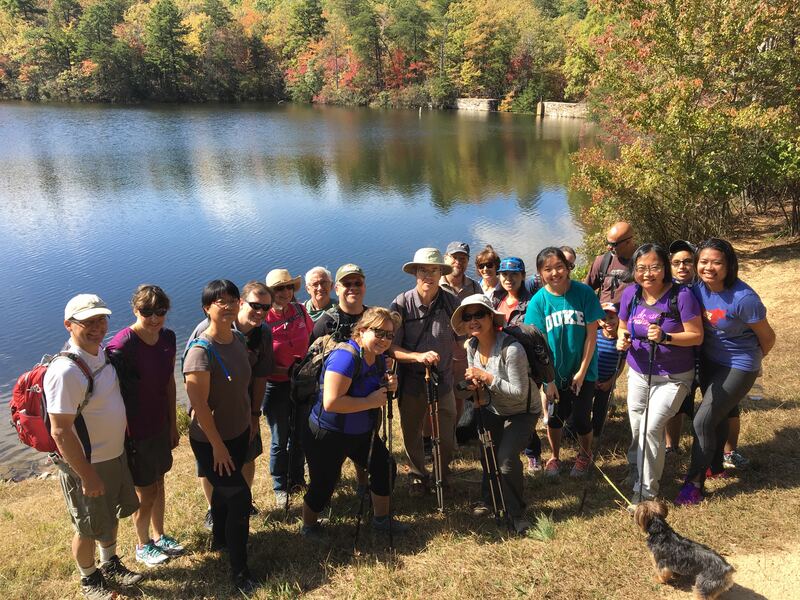 Hike leader David Brantley hosts Hike Your Own Hike Day: you could hike 12 miles, you could hike 10; you could hike 8, you could hike 6. That’s the beauty of the Ridgeline Trail, connecting the Boulders Access with the Kings Pinnancle. A great way to avoid the crowds at Crowders’ main entrance. Learn more and sign up here. =&1=&, Saturday, 2 p.m., Hanging Rock State Park, Danbury. Maybe you love the idea of hiking at Hanging Rock, but are intimidated by the distances, the rocky train, the elevation changes. On Saturday’s Lake Hike, there’s none of that. The hike is a mile long, it goes around the park’s 12-acre lake, and it’s pretty tame. You’ll learn a thing or two about the park as well on this ranger-lead hike. Learn more and sign up here. =&2=& Sunday, 10 a.m., Eno River State Park: Pump Station Access, Durham. 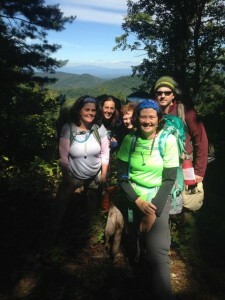 It’s the camaraderie of a group hike minus the chatter. Learn more and sign up here. =&0=&, Saturday, 1 p.m., Hanging Rock State Park, Danbury. We did this hike for the first time a couple months back and were struck by the contrast to the top of Hanging Rock. Whereas the top of the mountain is dominated by rock outcrop and dazzling views, the same rock outcrops here at the base are festooned in rhododendron and mountain laurel, making for a most intimate hike — and place to hide, as British Loyalists did during the American Revolution. A ranger tells all. Learn more and sign up here. =&1=&, Saturday, 10 a.m., Chimney Rock State Park, Chimney Rock. New trail alert! 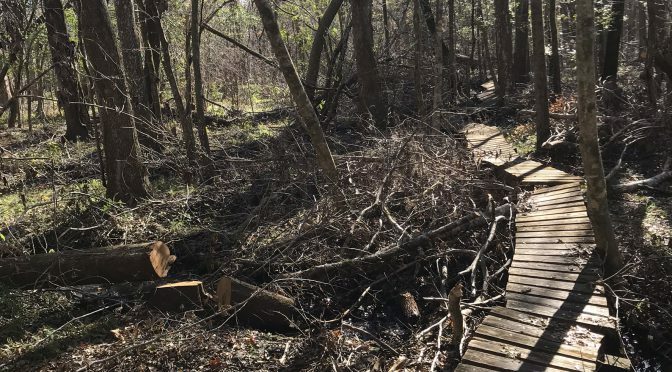 An effort is underway to build a continuous trail along the horseshoe-shaped rim of the Hickory Nut Gorge southeast of Asheville. A big part of that effort is the recently completed Weed Patch Mountain Trail on the north rim of the gorge. 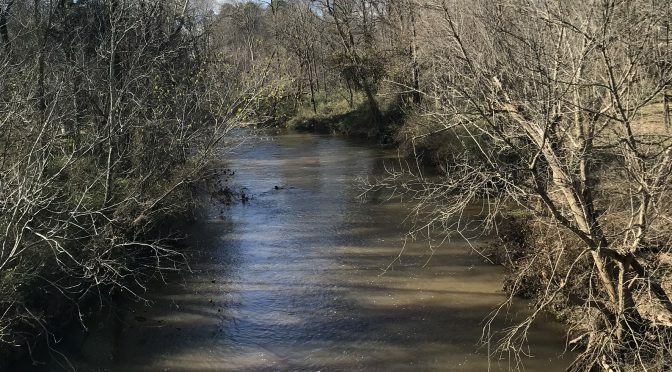 Saturday, the Friends of Chimney Rock State Park lead a hike from the west end of Weed Patch to Eagle Rock: the two-mile out-and-back includes passage through a naturally occurring tunnel. The hike is lead by the Friends of Chimney Rock State Park. A fee may apply. Learn more and sign up here. =&2=&, Sunday, 3 p.m., Weymouth Woods Sandhills Nature Preserve, Southern Pines. We’ll throw in one Sunday event, in the coastal plain, which may avoid winter’s visit. This one-mile hike checkouts Weymouth Woods wetlands in search of this festively colored fowl. Learn more and sign up here. State parks. If you’re planning a visit, North Carolina State Parks are good about posting weather-related closures on their website (they’ve already closed all mountain campgrounds for Saturday to Monday). If in doubt, check here first. Cross-country skiing. If you’re a northern expat and still have your cross-country skis, here’s where you might be able to use ‘em in the Piedmont. And find where to x-country in the mountains, here. Hiking. And because we don’t get to hike in the snow all that often, you might need a refresher in how to make that happen comfortably and safely. For that, head here.